Berwyn, PA, December 4, 2015 — Prepay Nation, a leading provider of cross-border prepaid mobile airtime transfers, has once again been recognized for its market-leading growth trajectory over the past year. Deloitte, which has been publishing its premier rankings of rapid growth public and private companies for the past 20 years, named Prepay Nation the 7th fastest growing telecommunications company in North America, and 191st overall across five burgeoning market sectors. Prepay Nation has a history of rapid growth, in the past being recognized in the top 100 fastest-growing private companies in America by the Inc. 500 (2014), the top 50 most promising companies by Forbes (2014), and the #1 fastest growing private company in the greater Philadelphia area by the Philly 100 (2013). The company, which partners with mobile network operators around the globe to make prepaid mobile top-ups for their subscribers available for purchase by friends and loved ones abroad, has been pursuing a strong expansion strategy. Prepay Nation’s growth is particularly fueled by their singularly flexible proprietary technology platform, their keen vision of their industry’s potential, and the growing market demand from immigrant populations across North America, Europe and the Middle East who seek to support their loved ones back home. “We are honored by Deloitte’s recognition of our hard work, and look forward to even more success ahead,” Jain added. 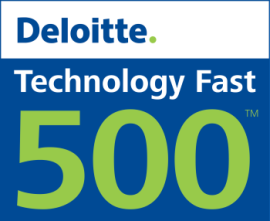 The Technology Fast 500 is the leading technology awards program. Combining technological innovation, entrepreneurship, and rapid growth, Fast 500 companies—large, small, public, and private—hail from cities far and wide across North America, and are disrupting the technology industry. Representing industries from software to biotech, Fast 500 companies play in the SaaS, cloud computing, data analytics, and mobile sectors. For more information, browse the Deloitte report.